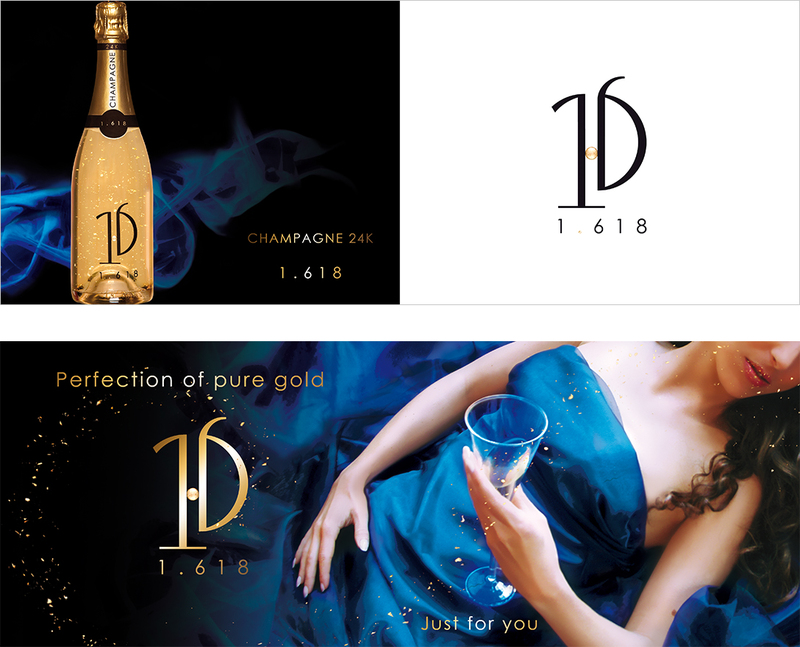 1.618, The Gold Champagne. 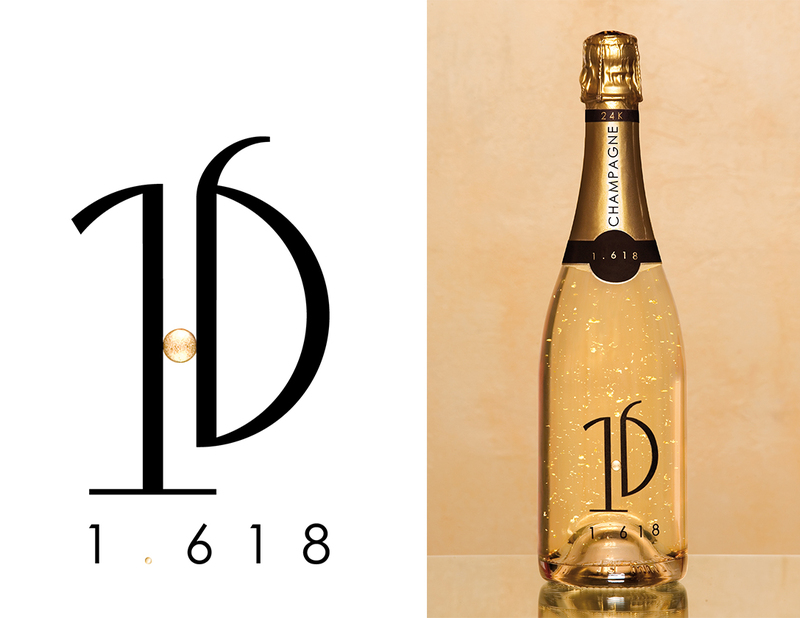 Made with gold flakes, this luxurious champagne will transport you. 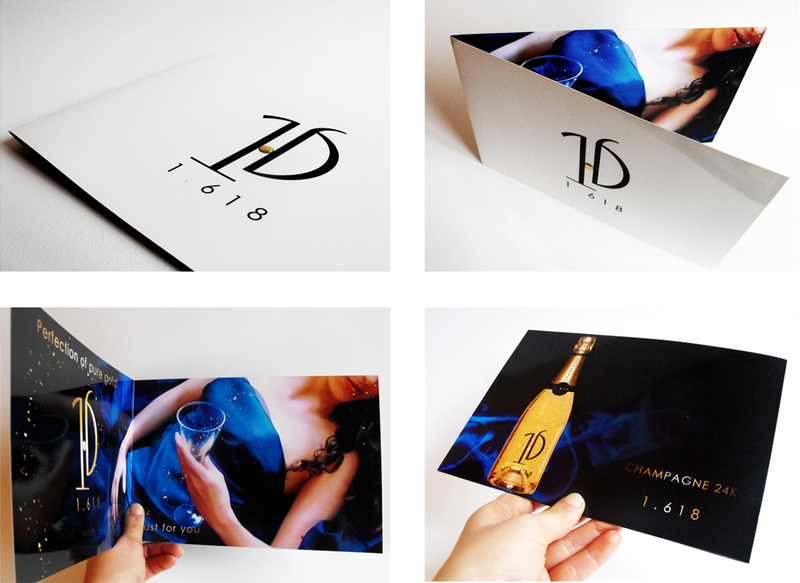 I created the Brand Identity : the Logo, the bottle design, the photoshot and the presentation leaflet.